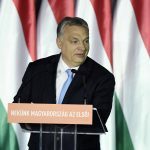 Speaking about the press freedom in Hungary, Trócsányi said that he could not see major differences between the media situation in France and in Hungary. Both the online and paper press are full of criticism of the government, he said. “I can tell you that press freedom does exist. There is no danger for journalists.”, he insisted. “I have never heard of journalists being locked up. 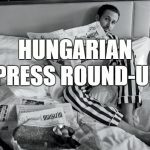 I do not see how press freedom is in danger”, Trócsányi said.